There's more to being a chauffeur than an Adult Chauffeur Hat. The top-tier footmen are not only big enough people to put someone else's needs ahead of their own, but they're thoughtful and well-mannered in (almost) every situation. What we're saying is that it takes a special kind of person to serve as the personal assistant and travelling companion to a superhero, a young exile from Philadelphia, or a team of antiterrorist marionettes. It's a calling, not just a cap. Of course, you'll want to anticipate the needs of your boss, so there are all kinds of other items that you might want to have handy as well. But if you're scrambling to come up with a Halloween outfit and you have a suit that fits, a little headgear should help you avoid any trouble with the costume police. 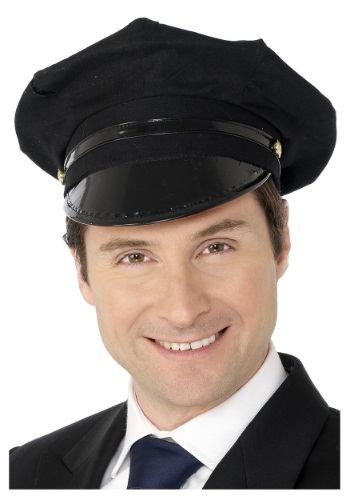 And if you simply want to be someone's driver for a special evening on the town, arriving in this hat is a sweet way to let them know.